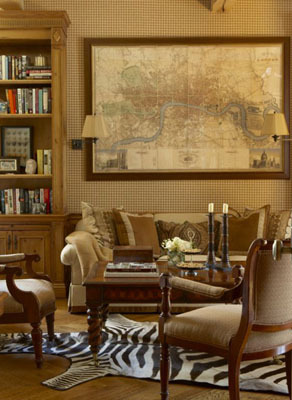 I would put myself squarely in the anti-animal print side (and the anti-floral fabrics). 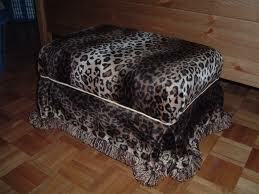 I am pretty much anti anything that looks cheap or tacky, and for me, animal print falls into that category. I mean really. Who puts things like this in their house? I very seldom change my mind on these kinds of things, but lately I have found myself being strangely attracted to zebra print. I kind of like the zebra rug.... is that weird? I know. Its like the world is ending. Now don't get me wrong, I am not about to start covering all my surfaces in black and white faux zebra, but I have found that I enjoy things that are inspired by zebra print. 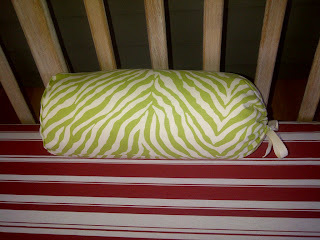 My first foray into zebra-inspired items were with pillows on the front porch couch. 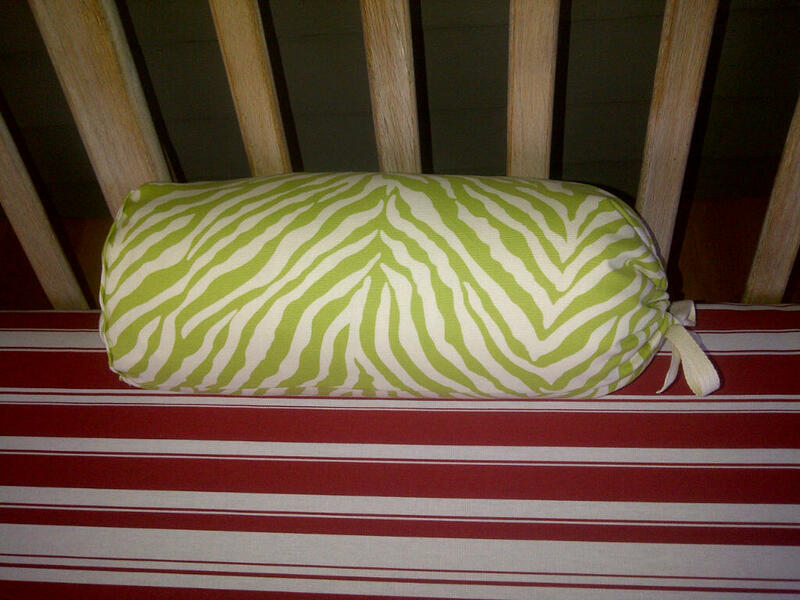 I bought this cool green and white fabric that looks slightly reminiscent of zebra print and made 2 pillows out of it. Its kind of stripey and kind of zebra-y. I actually went to Ikea recently and bought two faux sheepskin rugs. Although they are not exactly animal print, they definitely are in the animal family. I'm not using them as rugs, but more for table cover/texture. I really like them. Something about having the furry texture really softens up all the wood in the house. I recently fell in love with this zebra inspired scarf. 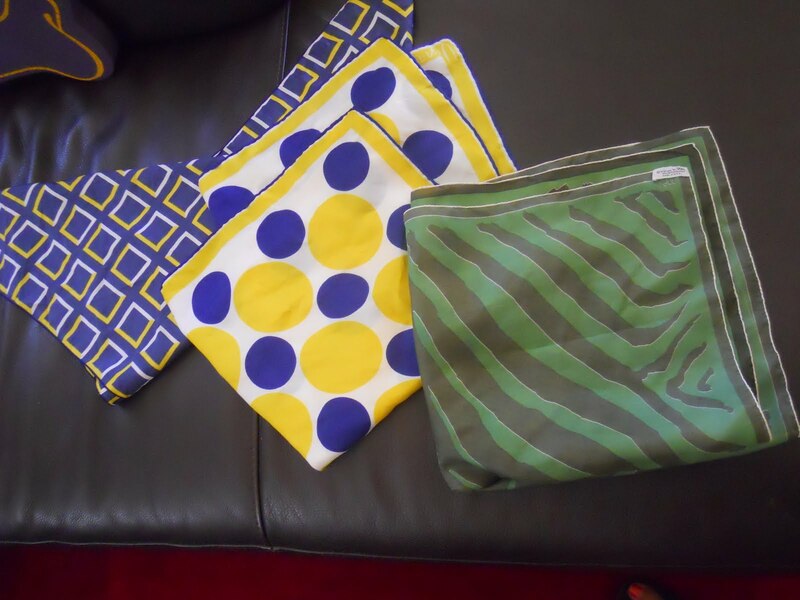 I was at a garage sale (shocking I know) and found these 3 scarves for $1 each. I couldn't resist taking them home with me. I wanted to frame them and use them as art (or maybe pillow covers). 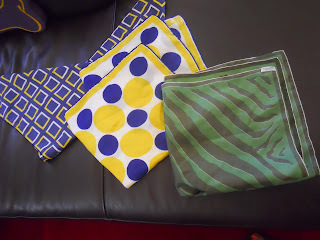 The blue and yellow ones match our den and bedroom, and the green/brown one matches our bathroom. It took me a while, but I finally got around to framing the green zebra-ish scarf for our bathroom. I ended up cutting the scarf in half and using it in two white frames so that I could fill the wall. I was pleasantly surprised how well the colors worked with the wall color. Here is what the 2 look like all framed and hung. I turned the fabric in 2 different ways to differentiate the art. Potentially one of the easiest art projects ever. Plus it was only $15 total and now that wall is full! Gotta love a cheap and easy art project where I can merge a little old with a little new, and bring in some zebra stripes. Maybe I will make it my mission to work in some sort of animal inspiration into every room in the house. This could get interesting. If I go too far, please hold an intervention for me.